For the third consecutive year, Quick-Step Floors conclude the Grand Tour season as the team with the most stage victories. He may have been vain and lacked any sense of humour, but William Shakespeare’s Malvolio got one thing right: some people are born great, some achieve greatness, and some have greatness thrust upon. 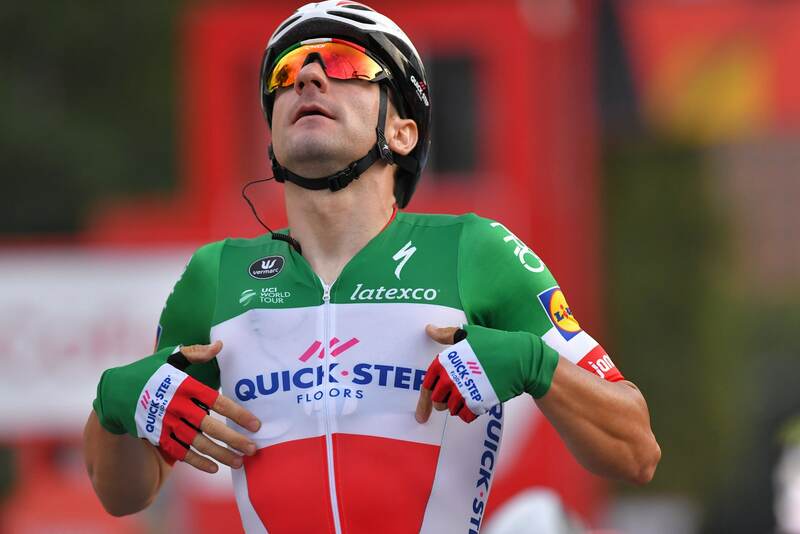 Judging by his exploits at the 73rd Vuelta a España, Enric Mas falls into the second category, his brilliant runner-up spot in the general classification speaking volumes of the potential and determination the 23-year-old Mallorcan – one of the youngest riders to podium at a Grand Tour this century – possesses. The season’s final Grand Tour represented Enric’s first foray into riding for the GC at a three-week race, and after a rather quiet first half of the race, in which he had to overcome illness and fever, Quick-Step Floors’ prodigy began a rapid and spirited rise in the standings, which catapulted him from twelfth to second in the space of a week during which the peloton traveled through Cantabria, the Basque Country and Andorra, taking on some of the Iberian Peninsula’s most grueling climbs. Riding beyond his years and taking initiative in the final days of the race netted Enric not just the most important win of his career on the hardest mountain stage of his home Grand Tour, but also an outstanding second place in the general classification, which served as confirmation of the talent that had brought him into Quick-Step Floors’ attention years ago, when he began his rise through the rankings. “Second and best young rider it’s something I wouldn’t have dreamed of at the start of the race, but arriving in Madrid having achieved this makes me extremely happy. From here, I will fly to Innsbruck for the World Championships, where I want to help Spain get a good result, before my last races of the season with Quick-Step Floors”, said Enric, who was beaming with happiness after becoming the first Spaniard in three years to podium at La Vuelta. The final day was a ceremonial one in the first part, that is until the peloton hit the streets of Madrid, where Quick-Step Floors shut down the two separate breakaways which emerged inside the final 40 kilometers, before bringing Elia Viviani to the front. Despite losing the wheel of his teammates in the hectic final that ensued, the Italian Champion bounced back in the closing meters and found a space on the left side of the road, powering down the barriers and claiming his 18th victory of the season and Quick-Step Floors’ 67th. “It was the last day of a really tough Vuelta and I came into this stage having lost a lot of power compared to the first part of the race, but still was super motivated. I lost my lead-out with two kilometers to go in a roundabout, but I remained confident and on the last corner I informed my guys to not go full gas, so they stopped. 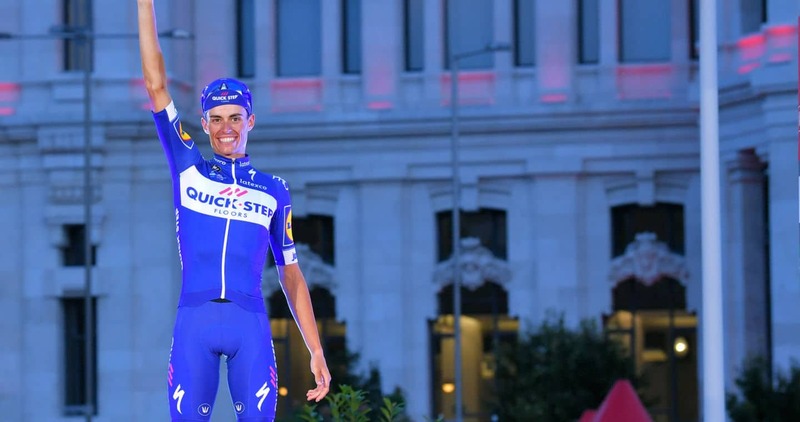 I came strong from the back in the finale, found a gap and surged to victory here in Madrid, which was one of my goal since we embarked on this journey in Malaga”, an ecstatic Elia said after netting the 88th Grand Tour stage win in the history of Quick-Step Floors. Quick-Step Floors’ brilliant run in the last Grand Tour of 2018 helped the squad managed by Patrick Lefevere get one step closer to wrapping up the World Tour team classification, which our outfit leads since the month of March and where, with just a handful of races left until the end of the season, enjoys an advantage of more than 3000 points over the nearest opponent.